Recently I have been excited about my upcoming summer trip. A lot of beautiful places in the world have appeared on my mind. One of them is the Duomo in Florence/Firenze, Italy. I've been to Florence once and that's absolutely a stunning place where I would love to stay forever. 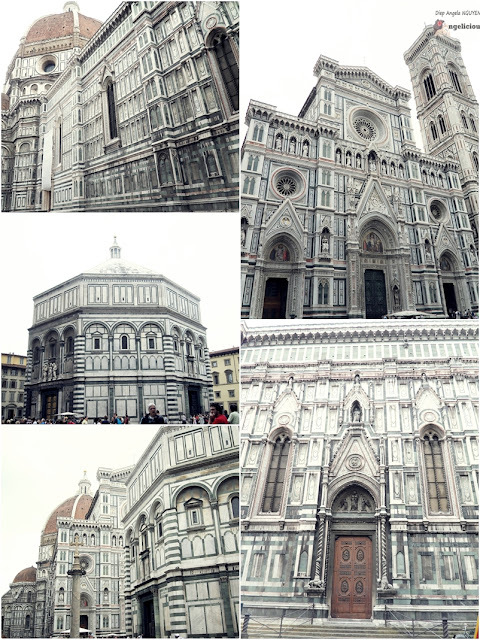 Florence first impressed me with its monumental Duomo, located right in the center of town. The Duomo or Basilica di Santa Maria del Fiore in Italian or Basilica of Saint Mary of the Flower in English is the cathedral in Florence and one of the largest churches in Italy. It was constructed in the 13th century in Gothic style. Now the whole cathedral complex is recognized as the UNESCO World Heritage Site. I am sure that if you happen to be in Florence, you definitely see this marvelous Duomo. And now I am showing some of the photos of the Duomo I took. Let's check out its beauty. Thanks for stopping by my blog. I hope you have fun and that you will find many adventures this summer. Italie looks amazing ,wish I could go to Florence I've only been to Napoli! You look so pretty! Firenze is such a beautiful city.. Would love to visit it again! I hope one day go to that beautiful place ! It's one of the places on my checklist ! I am excited to do what I love and so create this site to share it and be shared with you. Please share with me your stories, your experience, whatever you've had or want to feel in this life. Feel free to look through my small site for a sample of the colorful but bittersweet life ^^ If you have any questions, please contact me. Diep Angela NGUYEN'S Angelicious by Diep Angela NGUYEN. Simple theme. Powered by Blogger.